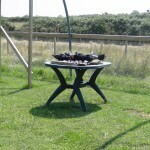 As a result of the birds moulting, an opportunity to release all seven birds has now arisen. 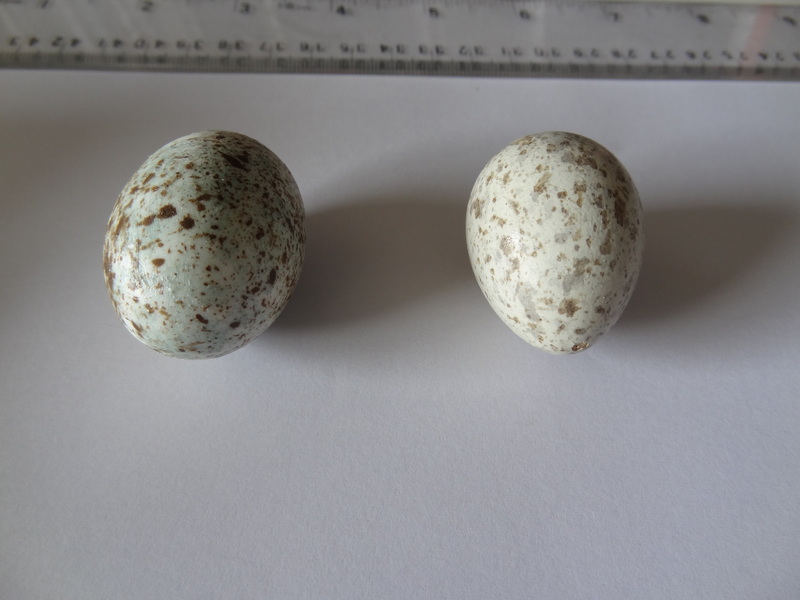 This has also meant that there is no longer a need to keep the two ‘non-radio tagged’ birds isolated from the others. When they were remixed, the young pair, Orange and Red, reunited straight away in a mad flurry of preening. 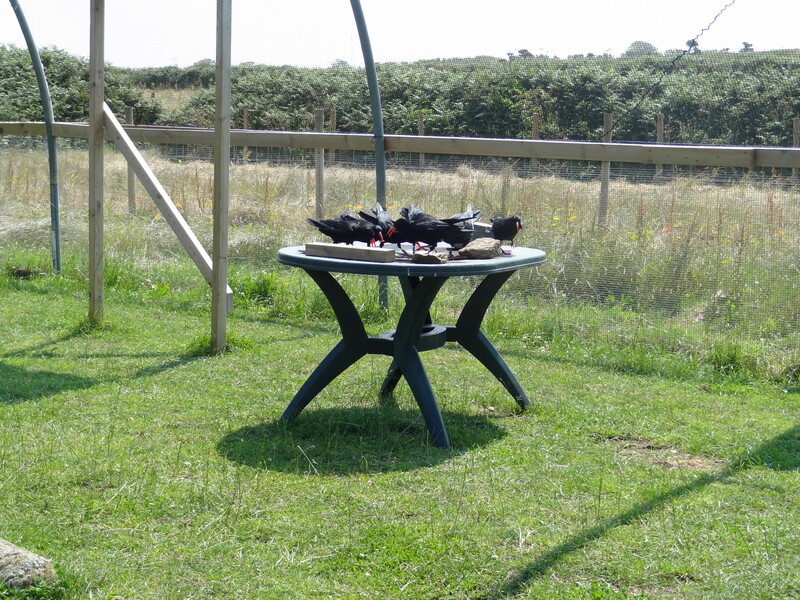 As the days went by it started to become evident that the two pairs in the flock had each claimed an area of the aviary. Neither pair particularly defends this territory, but they do show dominance over food during the training sessions. For example, Green and Mauve will push the others off the tables in the poly-tunnel when food is put down. Yet they will hesitate when flying on command into the ‘shed’ area where Orange and Red have been carrying nesting material. 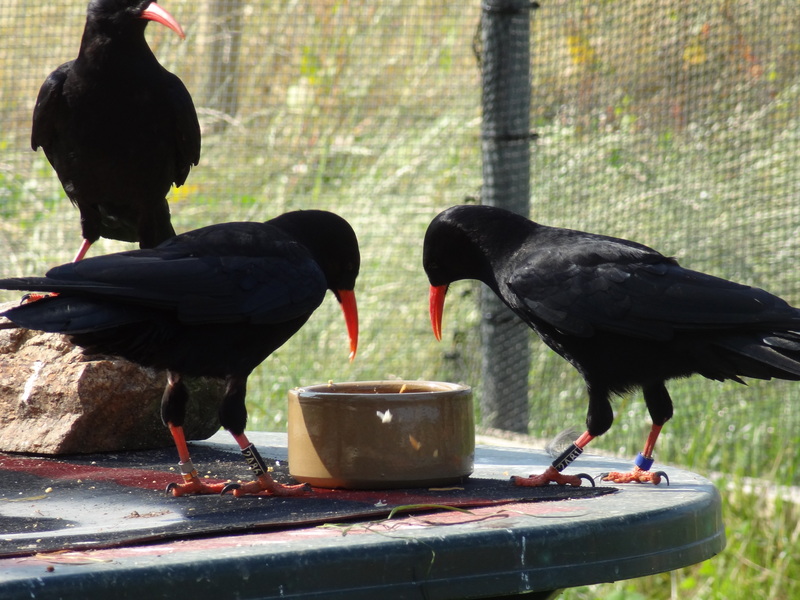 This pairing behaviour makes it problematic for the keepers as the birds are not being rewarded for carrying out the correct behaviour, i.e. flying to the target area on whistle. 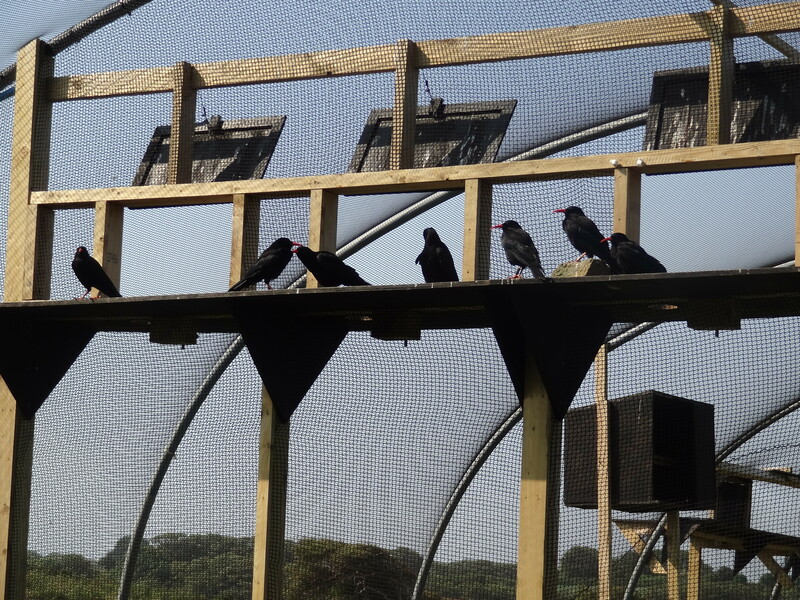 It also means that the scales need to be moved around the aviary in order to try and get body weights on all seven of the birds. 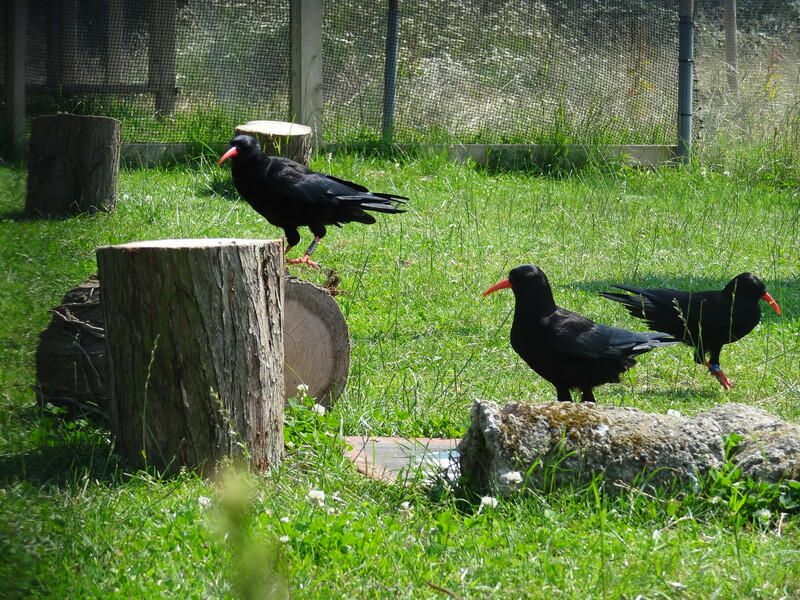 By the end of the month all seven choughs had, through moulting, dropped their radio transmitters. 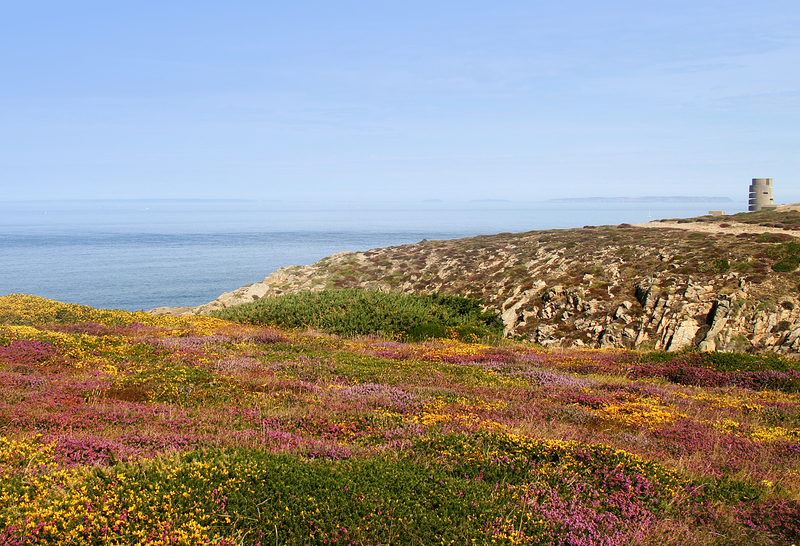 The transmitters have now been sent back to Biotrack in the UK to have new batteries fitted to permit at least six months tracking time after the birds are released. The 2013 breeding season has now come to a close as both breeding pairs have started moulting. 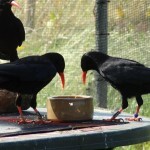 The pairs will be moved back up to the display aviary next month and mix with the non-breeding birds. 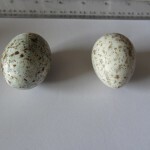 The egg recovered from this year’ failed clutch was ‘blown’ by keepers. This is a technique whereby the contents are carefully removed and the shell sterilised using a hyper-dermic needle and syringe. The egg will be kept for educational purposes. Gianna’s prima donna tendencies shone through this month when keepers moved George into the display aviary. At first Gianna was wary of him and sulked when keepers paid George attention and, since he was still being medicated, this happened quite a bit. George himself was visibly happier to be out of the Vet Centre. 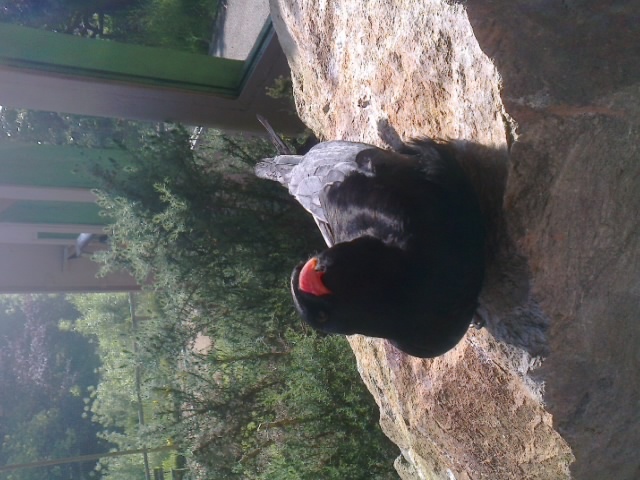 He was washing, sunbathing, and flying around all within the first few hours of being in the aviary. For a while Gianna decided to take the approach of ‘if you can’t beat them, join them’. It seemed the perfect pairing. She then opted very quickly for the ‘beat them’ approach and ferociously attacked George. Thankfully members of the public witnessed this and quickly reported it to a member of staff. The keepers were then able to intervene and separate the two. George was visibly shaken but luckily only suffered some bruising. 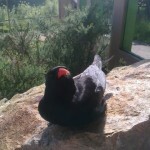 George, once again on his own, will be moved to one of the breeding aviaries once the pairs have been moved out.